Hello again! 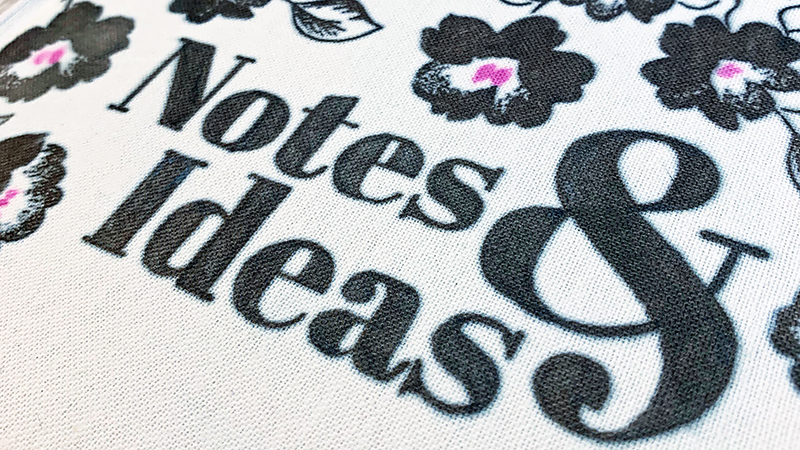 Today I have the neatest project to share with y’all – a floral notebook cover made with a printer, a pretty stamp set, and the black and pink Artesprix markers from the March kit. After I did my first transfer on the little coin purse that came inside my kit and realized how cool these markers were, I went shopping for all sorts of things to transfer designs on. They’re made to work with polyester, but I picked up several fabrics and items to test on. Some worked, some didn’t (operator error, haha! ), but I found this book at a local craft store and thought I should give it a try. I believe it’s a cotton blend, which is why the results have a vintage feel to them. I love, love, love the soft, worn look! 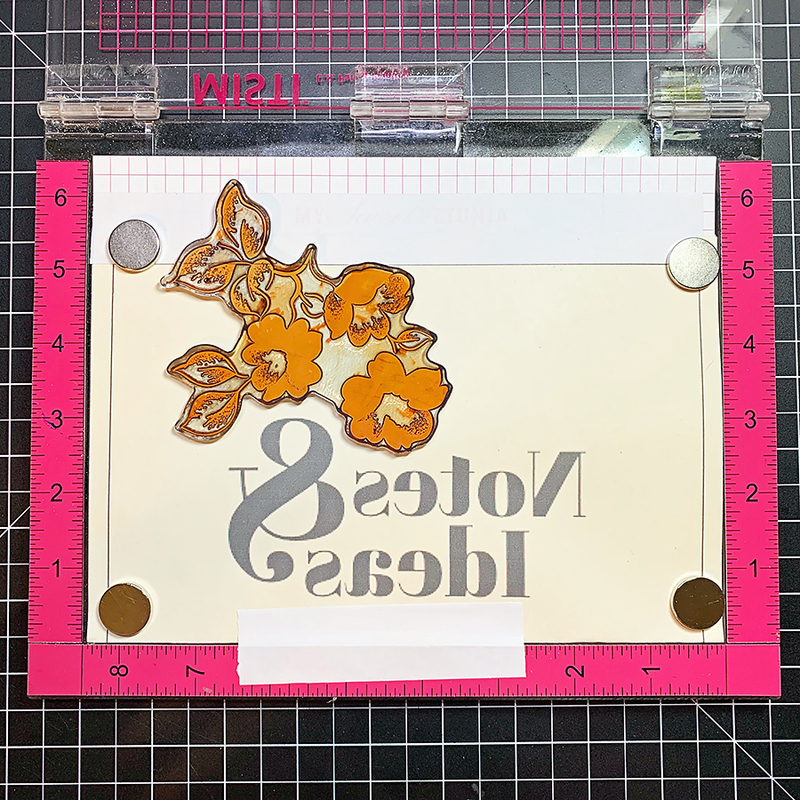 That’s why I picked out the Frosted Garden stamp set from Altenew – the fade on the flowers would fit perfectly with the finished texture. 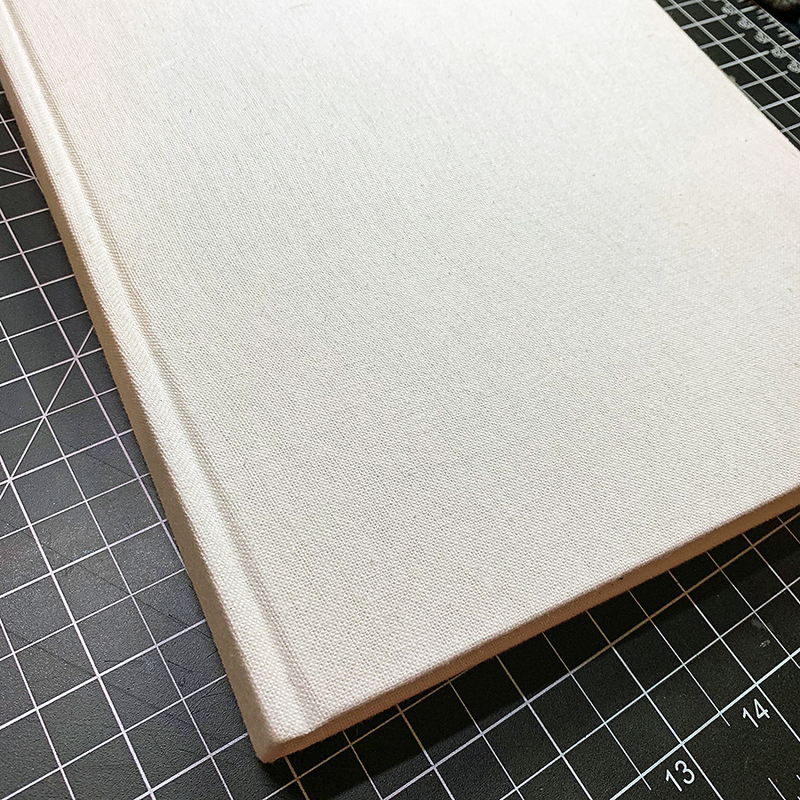 After centering it within the rectangle, I made sure to flip it horizontally so it wouldn’t transfer backward onto the cover. 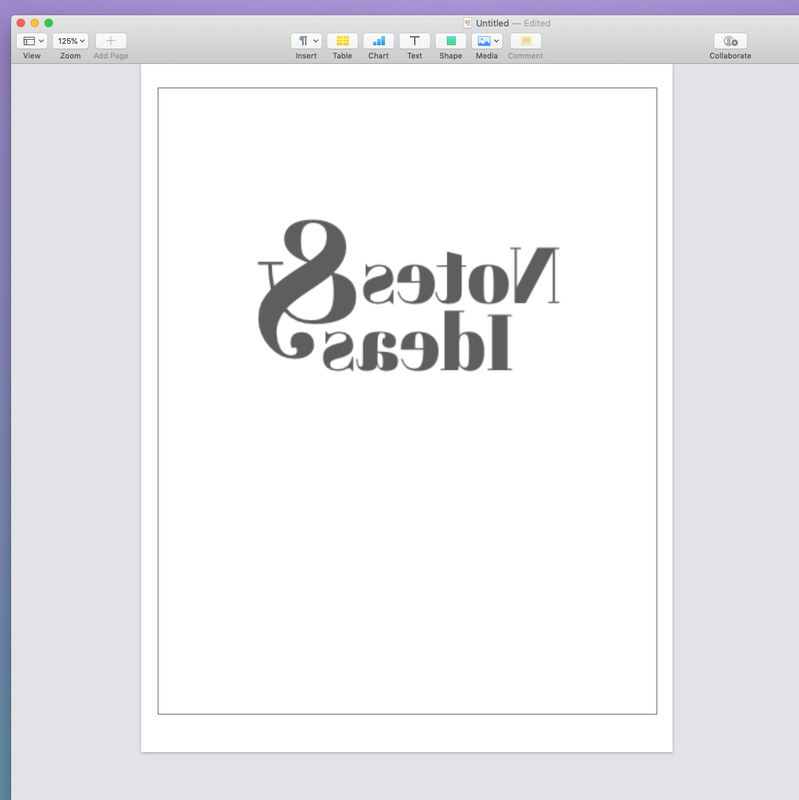 Then, I printed out two copies (just in case one got messed up). 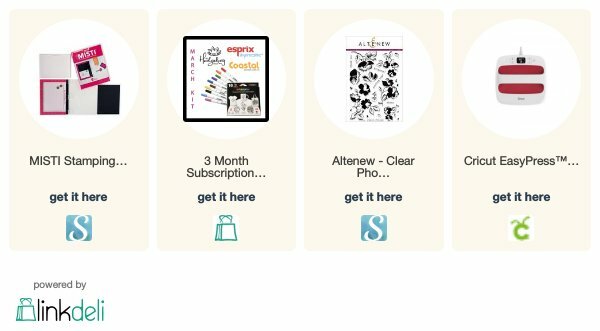 You don’t need special paper for this; any old copy paper works just fine. The one I’m using is some old ivory papers from a previous project. 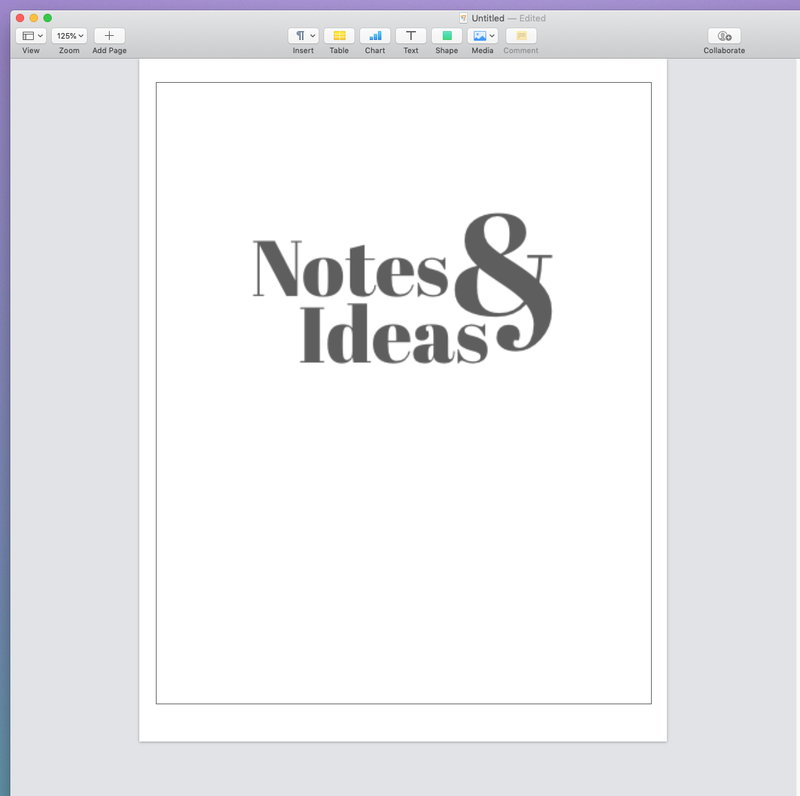 Next, I folded the page in half and taped it inside a MISTI with some Post-It® tape. I did this for two reasons: to mask off the areas outside the rectangle and to keep the paper still. 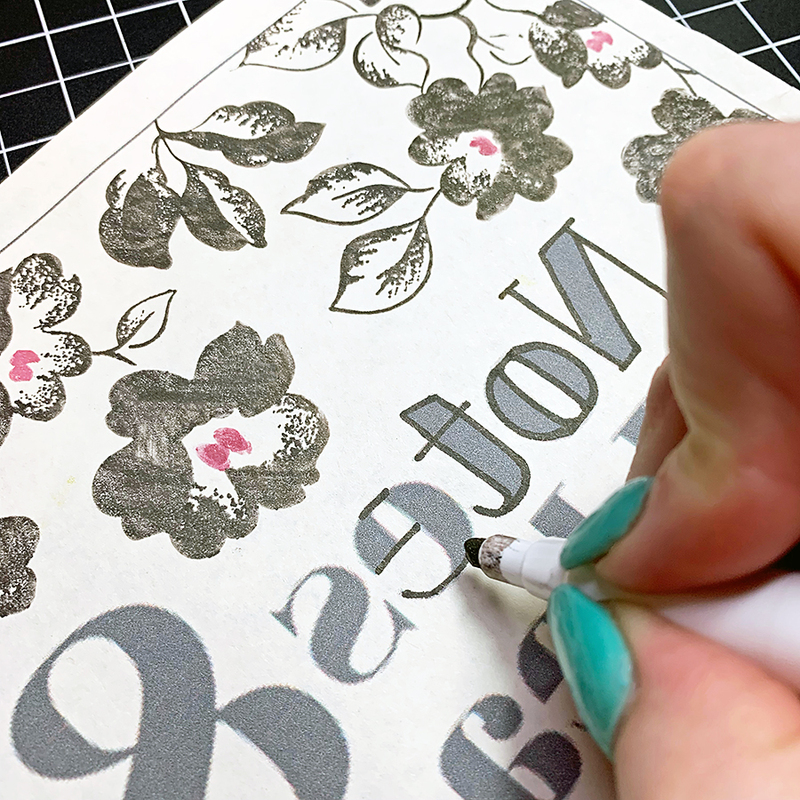 The markers tend to make the stamps a little bit sticky, so it’s easy to shift the paper accidentally. 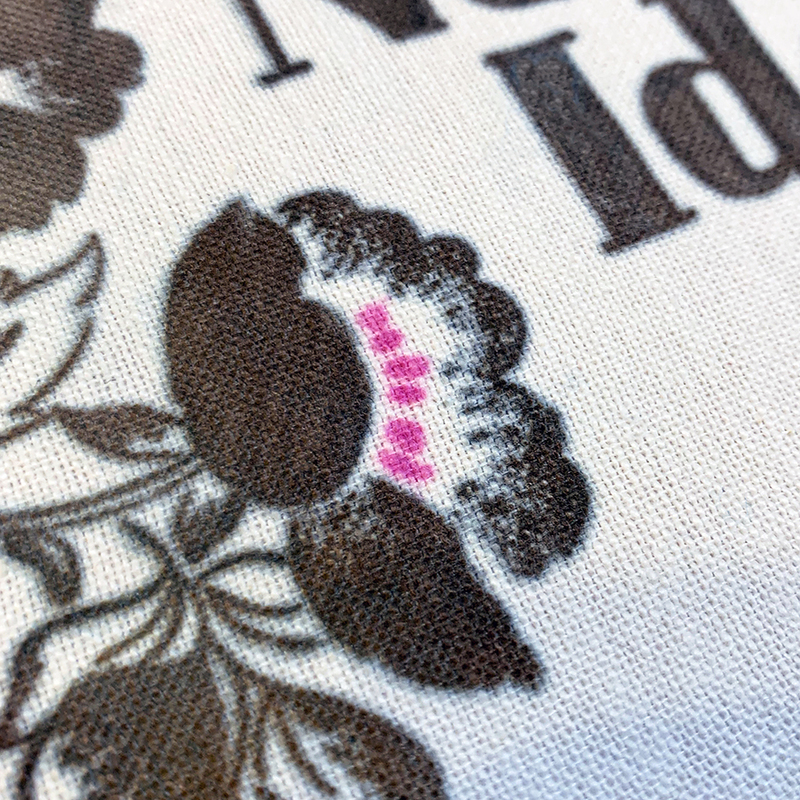 To stamp, I quickly colored small areas of the floral image with the black Artesprix marker and pressed them down, then repeated this before moving to the next section. 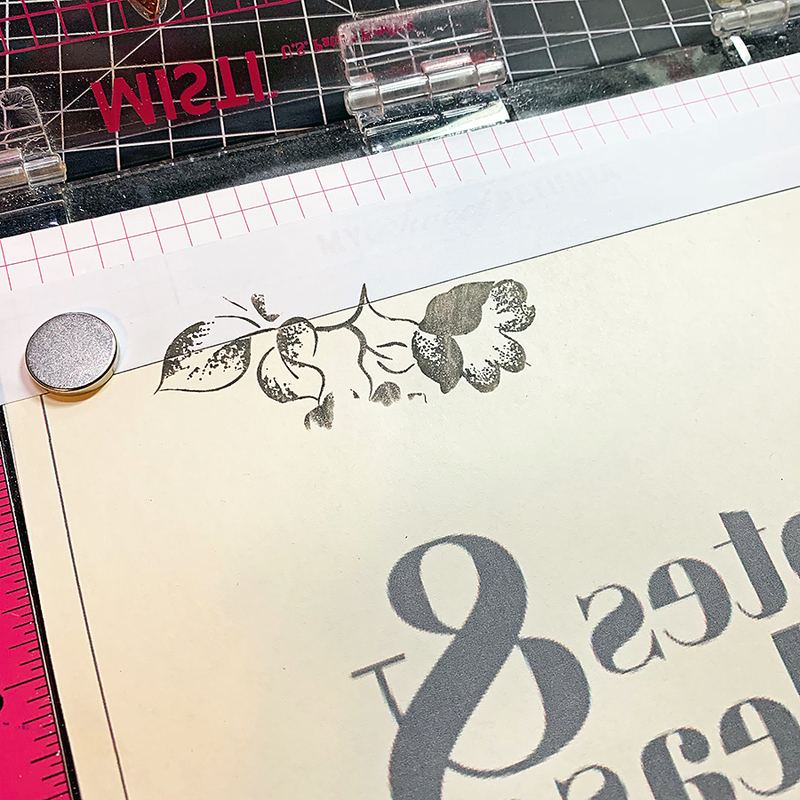 I’m not gonna lie – it took a minute to get all this stamped, but the marker ink transferred easily… and it helped that I had taped everything down. On to the title! When I printed this out (on an inkjet printer), I did it in a gray tone to make sure I wouldn’t miss any spots while tracing. The best way to go about this is to outline everything, then go back to fill in the wide parts. It’s much easier than it looks! The trick is to draw straight lines away from you, and curved ones toward you. Once everything was colored in, I couldn’t wait to transfer this to the book cover! 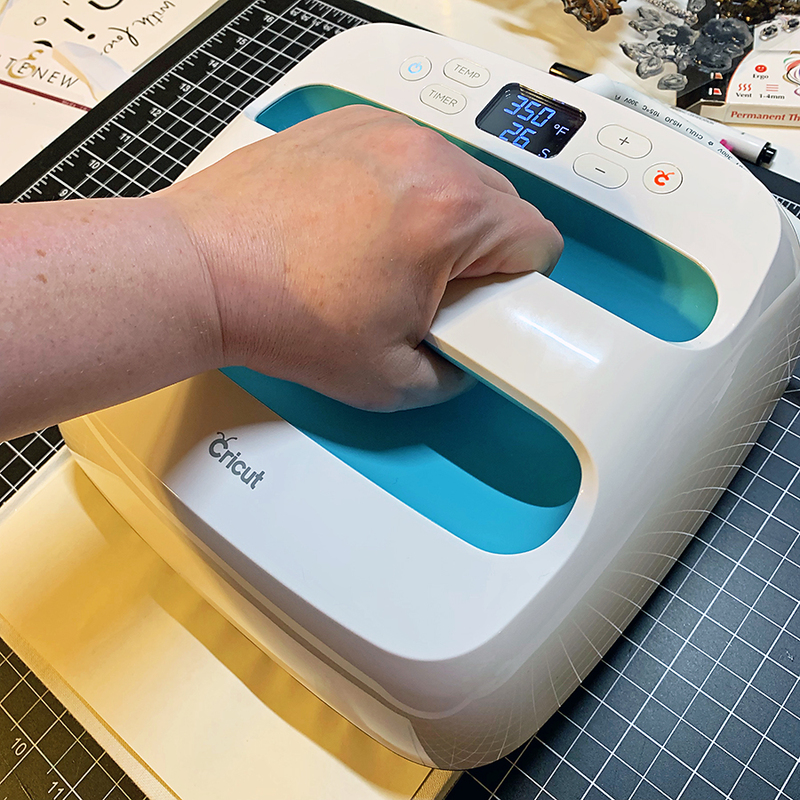 The settings for a Cricut EasyPress is 360F for 90 seconds, but I turned down the temperature to 350F because I was worried it would warp the book board underneath. It didn’t, though. I love how it looks like I spent a lot of time hand drawing all the details when it’s actually all stamped and traced! 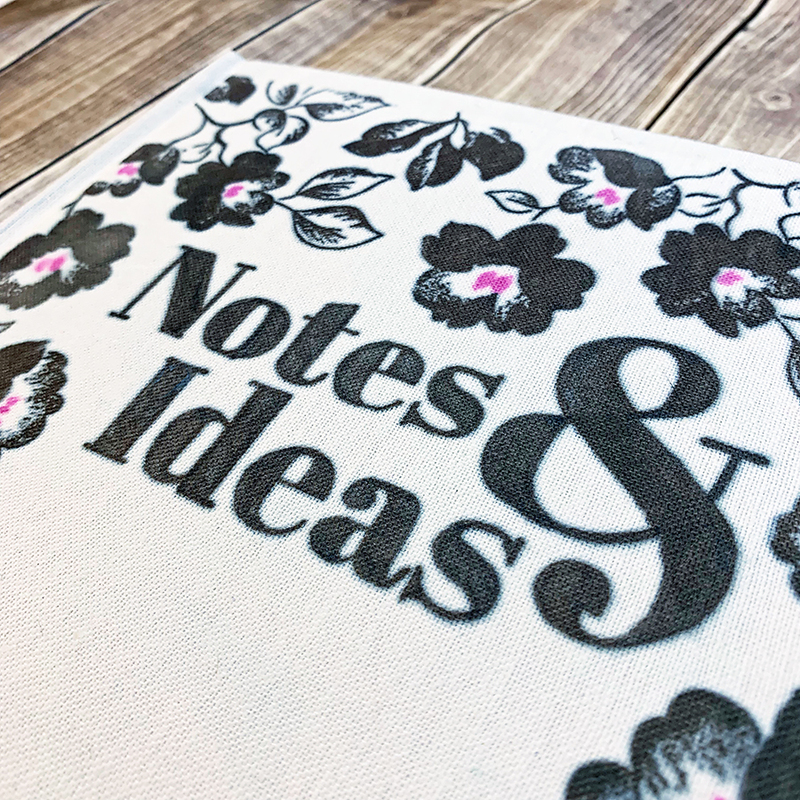 Thanks for stopping in to check out my floral notebook cover. 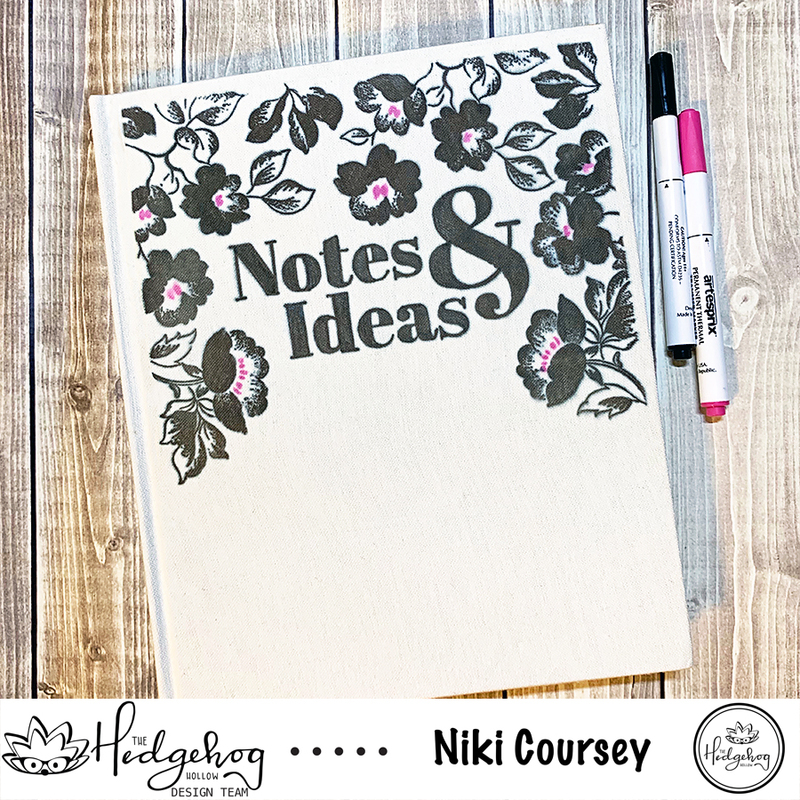 I hope it inspires you to create your own – don’t forget to personalize it with your name centered on the bottom! Niki, I’m soooo impressed by this project! So creative and I can’t believe how well your tracing came out!